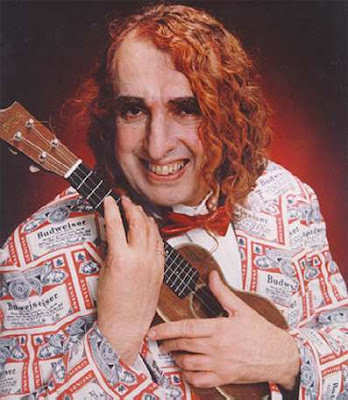 On Nov. 30, 1996 Herbert Butros Khaury, better known as Tiny Tim, performed his final gig at a benefit concert at the Woman’s Club of Minneapolis. He hadn't been feeling well that day. And he'd suffered a heart attack a few weeks before at a ukulele festival in Massachusetts. So after performing an abbreviated version of his hit novelty song "Tiptoe Through the Tulips." His wife, Susan Khaury, told The Associated Press that she'd gone up to the stage to help him back to their table. It was then when he collapsed. "He went out with a big bang. Very theatrical," Miss Sue told the wire service. "That was his way, to collapse in front of hundreds of people." The singer died at a Minneapolis hospital later that night. So in honor of a true entertainer, here are some videos of Tiny singing some songs he's not normally known for. On this one he sings "Earth Angel" on The Ed Sullivan Show in 1970 with a group called The Enchanted Forest. 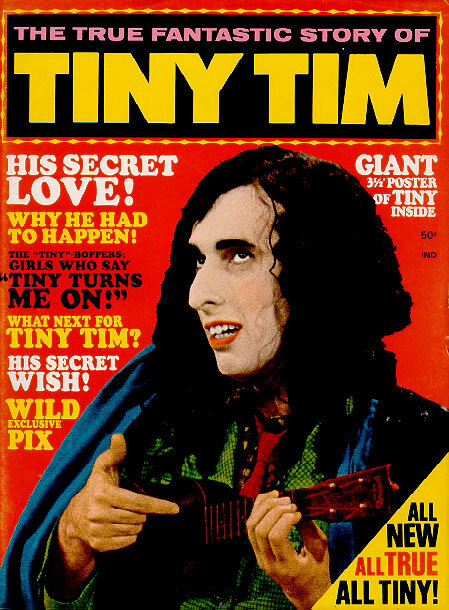 For the last quarter century of his career, Tiny Tim was considered an "outsider" musician. In that light, seeing him perform on national TV with Bing Crosby seems almost like Frank Sinatra sharing the stage with The Shaggs. But here he is with Der Bingle -- and a nice cameo by Bobbie Gentry toward the end. The Latest Big Enchilada Podcast is Served! THROWBACK THURSDAY: Come on Let's Turkey Trot! WACKY WEDNESDAY: Another Year of Wacky!